Does your garden look a bit drab and bleak? Does it need some instant makeover? With summer around the corner, it would be great to refresh the outdoor space’s look without necessarily break the bank! If you have some free time to start searching on the internet, you would find tons of cool DIY ideas on how to make your garden unique on a budget. The following article is just right on the spot to help you get started. There two most common ways to revive the garden – by making a flower bed, and by applying some pavers décor. Building a flower bed is a great way to add some colors and character to your front- or backyard. There are lots of flower bed ideas, however, you should consider the space you have, the flowers that would coop well with the local climate, whether it’s shady or sunny etc. If you want to see more gorgeous flower bed ideas check Decor Home Ideas post. I know creating a garden bed could be overwhelming, especially if you’re not a professional gardener. Just stick to a non-fuss garden plan and try to build something simple instead of stressing out with something too complicated. You would build them raised, around a tree or separated from the lawn by a garden edge. Doesn’t matter which type you would choose in the end, it will definitely revive the look of your outdoor space. The paving decoration is a more expensive option to revive the garden than building a flower bed, but it does not mean you have to skip this stylish option. There are cheaper materials such as concrete paver; plus the paver décor is easier to maintain. When you are looking for ideas to refresh your garden space, the fastest and the easiest way is to choose a single paving product and lay it everywhere in the outdoor area – just as all of your neighbors may have done. However, there are different ways to transform the stonework into something unique. 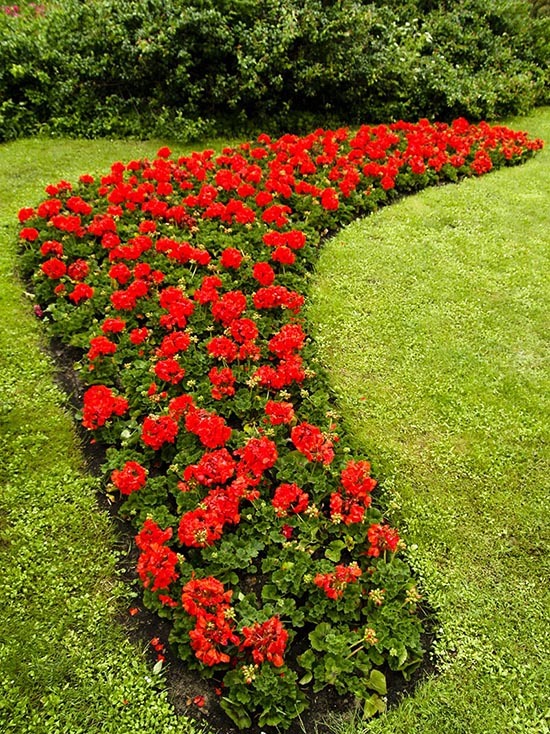 By adding some small details and basic twists, you can give individuality to your garden. 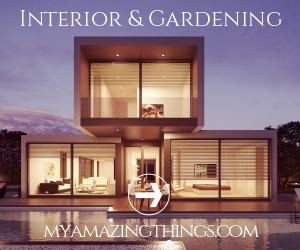 For instance, a cool way to fit all the hard elements of your garden together is to use the same type of material in various ways. If you have a look at a Mediterranean style garden, there are often used walling stone details taken from different parts of a quarry, so the tones differ a bit, but in the end, the material blended the garden together. I have selected 5 great examples to go right on the spot. This is a great and cheap idea for creating layers and adding volume to a more spacious garden. All you have to do it to choose some colorful mid perennials such as Purslanes or Primroses. Once they bloom, your outdoor space would have a rug of color floating on a sea of green. It has to be the right color, shape and has a long-lasting blooming. It must “behave” the way you want it to in the garden. It must be tough…because most of us are too busy for needy plants. Ideally, it isn’t preferred food of the critters in the neighborhood. In my opinion, this is the easiest and the cheapest landscaping idea out there. All you have to do is to add a stone/pavers/brick edge and mulch to doll up plain flower beds in a snap. 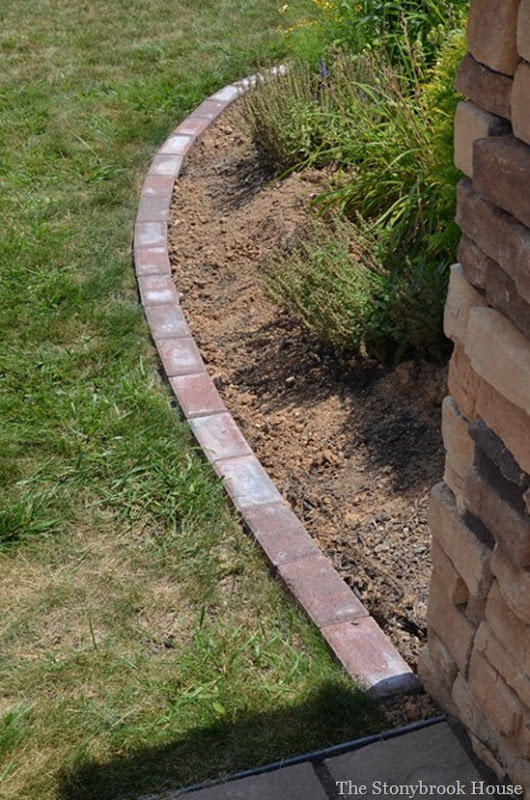 For a good reason, brick is the most common garden edging material. It does define the borders of the garden well, it’s weather and water resistant, has a timeless look, and perfectly fits any surroundings. As the lawn grows easily in almost all soil types and looks elegant, it would be a great solution to refresh your garden space. All you need to consider carefully is the amount of sunlight and rainwater as the lawn needs them most. 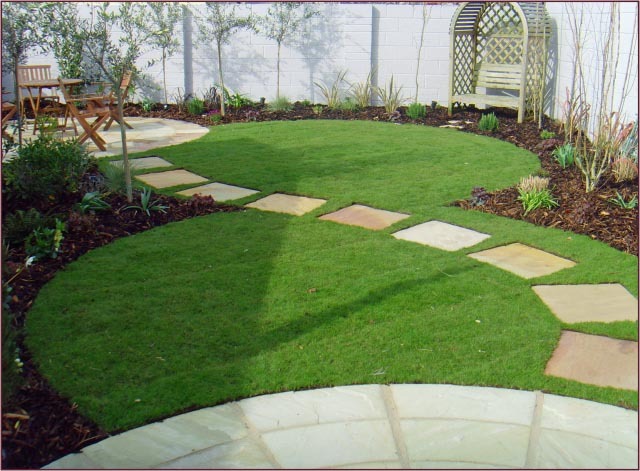 The greatest advantage of the lawn is that it could be shaped differently so it will make your garden look unique. 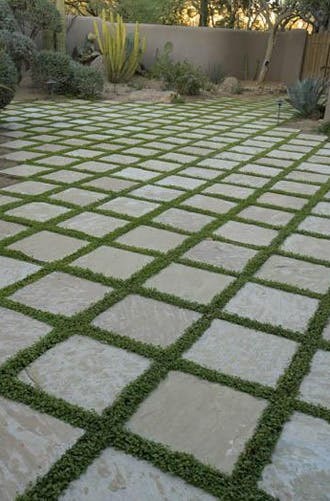 By adding a stone pathway (as shown on the picture), you would give the lawn design a finished look. Building a decorative pond is a cool idea for experienced DIYers to give the garden a unique look and to create a perfect escape from the concrete jungle. The pond could be built for a weekend and it requires some solid planning. 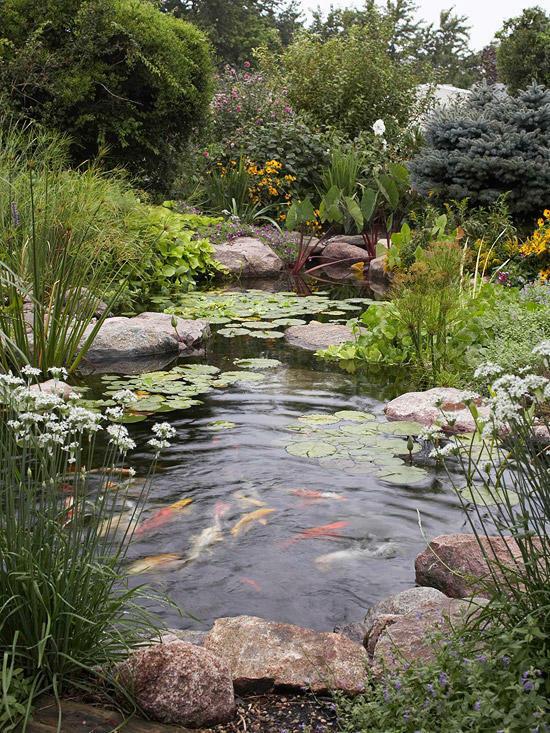 Adding some stylish edging could make the world of difference to your garden pond. Again, mixing up the textures and materials is essential, as well as attracting a various wildlife. You don’t want to ruin your garden design, right? Split the circumference of your lake, creating a brick border on one aspect and a loose rock arrangement on the opposite. Use an associate array of water plants, succulents, and potted perennials to breathe life into the realm and draw the insects and creatures in. The cut stone tiles in a square grid is a smart way to blend the built environment with the natural landscape.